As crazy as this is about to sound, I swear that snails are the latest rage in Korea. I literally saw snails in every single beauty shop. Well, not snails per se. But their mucin. Snail mucin is another name for snail slime or snail mucus. Which explains why I returned from the land of the beautiful with not a single snail in sight. BUT whatever Korea says goes right? Haha. So when Sarina from Secretive emailed me about Love More's Snail Mucin Healing & Hydrating Mask, it was without hesitation and fear that I nodded yes! 1. I trust Koreans and their beauty products (Their smooth, flawless, glowing complexions on telly are REAL! It isn't only the superstars who are blessed with god-kissed skins.). 2. I'm really intrigued by this whole snail technology. 3. It is usually the unassuming people/ insects/ things who/ that surprise you. 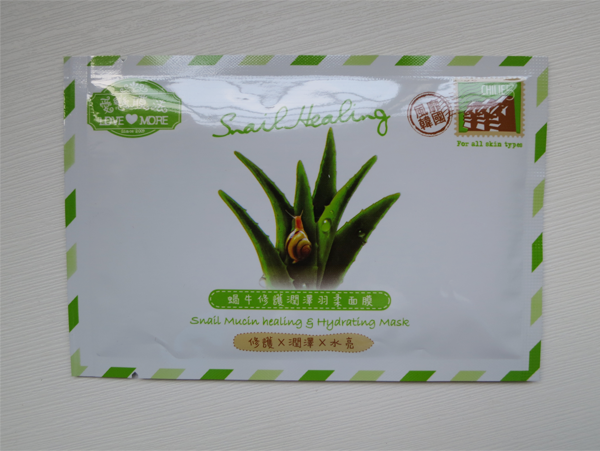 Snail Mucin Healing & Hydrating Mask is enriched with snail mucin for intense hydrating of the skin and for the healing of epidermis tissue for a renewed and youth complexion. The mask is also formulated with Synhycan, which gives a better moisturizing effect than the famed Hyaluronic Acid. Copper Peptide, GHK-Cu, has also been added to delay the signs of anti-ageing, prevent the formation of lines and firm up the skin. Also, the mask has low acidity, is non-comedogenic and free from colourants and alcohols. The mask is a 'Japan Soft Mask' that is only 0.02mm thick. It is feathery soft and has a 'skin-friendly ergonomic cut' so that it fits and sits nicely on the face. I liked that the mask came with a plastic sheet in-between as it made unfolding it a lot easier. It was also cut neatly round the ages and indeed, it fitted and sat nicely and comfortably on my face. Throughout the entire duration that I had it on, I did not have loose flaps hanging about. The mask was adequately drench in the essence and the moment it went on to my face, I felt a cooling sensation (Didn't refrigerate it beforehand.). It was a really relaxing 20 minutes. 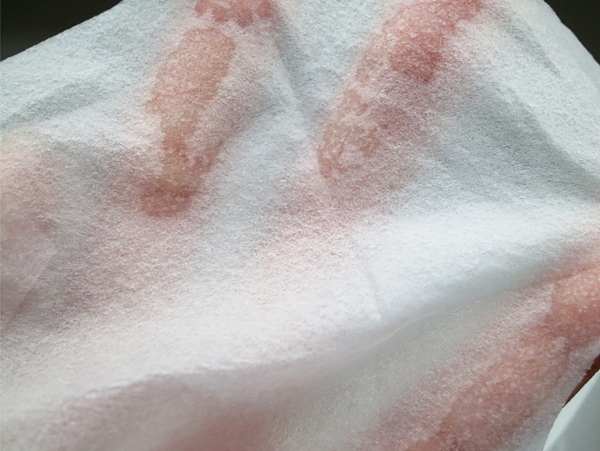 (: After peeling it off, my skin felt moist and well-hydrated. I noticed that it also helped calm the redness in my face. Love More's Snail Mucin Healing & Hydrating Mask makes a good weekly mask, especially when you need some intense hydration after a long day and your skin is crying out for a little perk-me-up session. 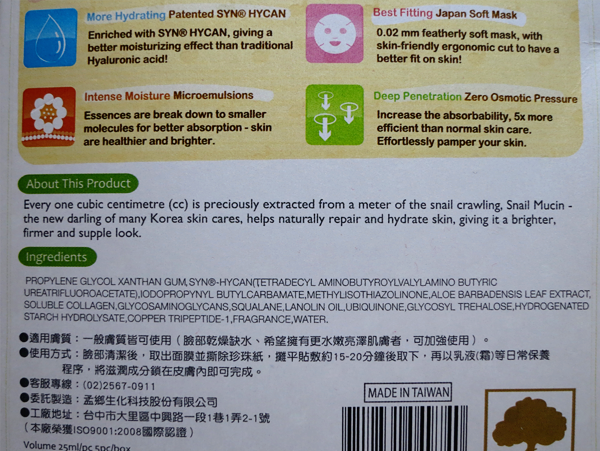 However, I have not exactly seen how the snail mucin is 'better' than other ingredients. I have used only a box of it though and perhaps, more mask-ing sessions are needed in order to witness the powers of the snail.